SAN FRANCISCO, June 7, 2018 /PRNewswire/ -- Stitch Fix Inc. (NASDAQ: SFIX), the leading online personal styling service, announced today that Deirdre Findlay has joined the company as its Chief Marketing Officer. In this role, Findlay will lead all marketing, creative, and communications initiatives for the company. 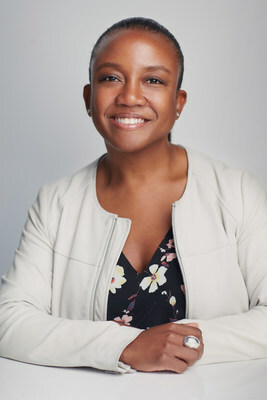 Findlay most recently served as Senior Director of Global Hardware Marketing at Google, where she oversaw marketing for Google's home hardware products, including Google Home, Chromecast, and Google Wifi. Findlay has nearly 20 years of experience leading cross-departmental teams, delivering strategic integrated marketing campaigns, and building brand strategy at organizations like Google and eBay, as well as for Whirlpool Brands, Allstate Insurance, MillerCoors, and Kaiser Permanente while serving as SVP at leading digital marketing agency Digitas. "Deirdre is a strategic leader with a deep understanding of what drives consumer behavior and how to connect with clients in an authentic way," said Katrina Lake, founder and CEO of Stitch Fix. "Her blend of vision, creativity, insight, and practical experience building personal and relatable brand experiences will be a major asset to the company as we focus on defining our brand and growing the business. We're thrilled to have her join our team." Findlay joins a seasoned leadership team with diverse experience from companies such as Netflix, Lululemon, Salesforce, and Walmart.com. "I'm excited to join the talented team at Stitch Fix and take the helm of a brand that sits at the intersection of fashion and technology," said Findlay. "Stitch Fix's unique mix of data science and human intelligence provides an amazing opportunity to drive discovery in a way nobody else can. I look forward to bringing the surprise and delight each client feels every time they receive a Fix at their front door to even more people." Stitch Fix is reinventing the shopping experience by delivering one-to-one personalization to our clients through the combination of data science and human judgment. Stitch Fix was founded in 2011 by CEO Katrina Lake. Since then, we've helped millions of men and women discover and buy what they love through personalized shipments of apparel, shoes and accessories, hand-selected by Stitch Fix stylists and delivered to our clients' homes. For more information about Stitch Fix, please visit http://www.stitchfix.com.